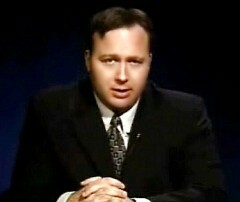 Alex Jones is a good place to start when looking to unveil the illusions of our Governments , Politics and Economics. He has a daily radio show and is also a film maker and has produced some really informative documentaries. He is quite an Icon in the Alternative Media arena and is responsible for waking up millions of people to the concept of the ” False Left – Right Paradigm” that we call modern Geo politics. I personally enjoy his films and his radio shows, with guests, that range from Webster Tarpley to David Ike to Charlie Sheen. He sometimes comes off like a preacher with his passionate rants , but that just adds to the over all effect and boosts the entertainment factor ….oh Alex Jones you do make me laugh. His most recent films the Obama Deception and Fall of the Republic are a good place to start , to get an understanding of the current state of affairs. The hard work and passion Alex Jones puts into his work is greatly appreciated , and his part in the process of awakening and identifying those that are “really ” in charge , is one of the first steps to understanding the way the world really works. However we always need to go deeper , so that you don’t get caught up in the blame game. The awakening process is not just about identifying the corruption , it’s also about asking why do we allow it, its about taking responsibility, something Alex talks about all the time. The Blame Game is just another trap that will further separate you from the goal of understanding “What You Are” ! No one person , or voice has all the answers , this is the purpose of Apocalypse How, to bring all voices together, to be explored, to be heard , and allowed expression. Check out the books below by Alex Jones ! The Obama Deception is one of his Best Films. The Fall of the Republic was a nice follow up.